Italian niche brand Masque Milano will launch Hemingway, a new vetiver fragrance intended as an homage to author Ernest Hemingway. Act II Scene Three Sheer, bright vetiver. Caribbean Vibe. Hemingway was developed by perfumer Fanny Bal. Additional notes include ginger, rhubarb, cedar, patchouli and leather. 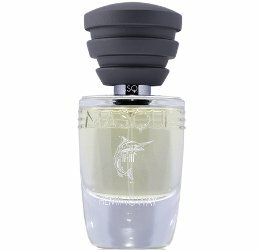 Masque Milano Hemingway will be available in 35 ml Eau de Parfum. Look for it in June. Oh, this sounds right up my husband’s alley, so shhhhh. There isn’t room for him down this rabbit hole. He’s already part way down; I’m trying to hold off further encroachment…we can’t afford it!